Join us for a fun filled evening of food, games and live entertainment in Downtown Washington, GA! The whole downtown will be blocked off to accommodate kids rides - to include jumpy houses, bungee jumps and a 90 foot zip line! Our downtown restaurants will be serving all your favorites and a food court of vendors will be on the Square. Come early and get your seat on the newly renovated square lawn! Plan a visit to one of our many local restaurants and catch up with old friends! 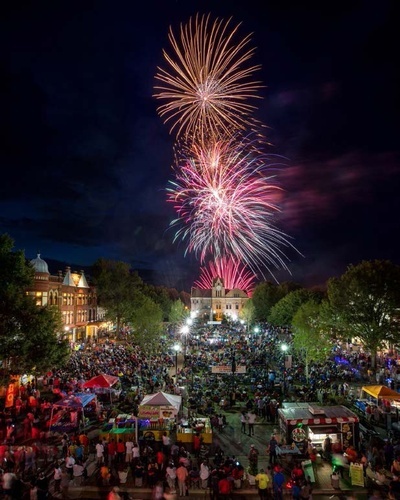 End the night with a spectacular view of the Fireworks behind our beautiful Courthouse.